Hi, Ruth Brown here. For those of you who haven't been following this blog, I'm the main character in Linda's WWII trilogy. I'm a war correspondent from New Hampshire who is assigned to England. I started out as reporter for my hometown paper The Gazette. Now I send home stories about how the stalwart people in London are handling the war. I often stop in at the Broadcasting House, headquarters for the British Broadcasting Company. Opened in 1932, the BBC made some space for all of us roving correspondents after the war broke out. But sometimes the crowd of journalists makes it impossible to get my story typed up, so I drag my portable Remington with me. For those of you who cart around laptop computers that weigh a mere two to five pounds, you are horrified that I consider my nine pound Remington light weight. However, perspective is everything! 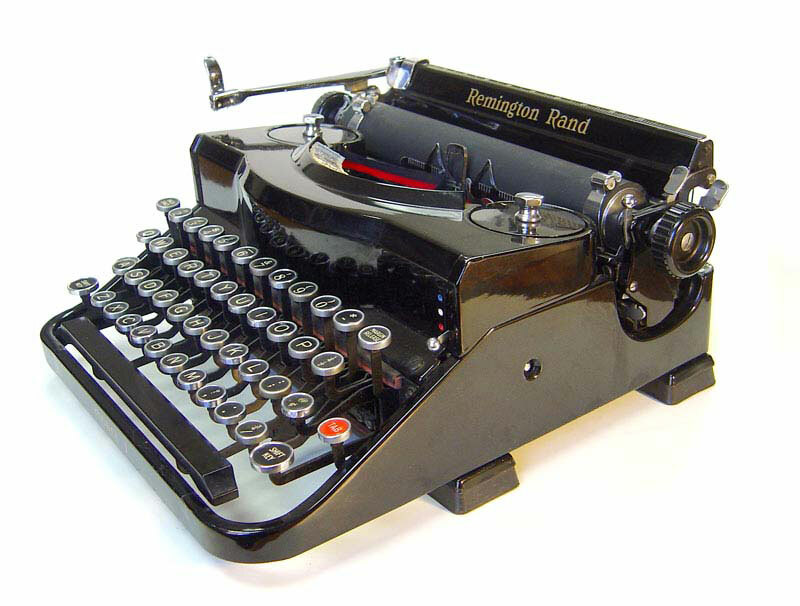 The average weight of a standard typewriter in the 1930 and early 40s was thirty-five to forty pounds. Not exactly portable. machine of choice. Remington invented the QWERTY keyboard, and this new machine includes a self Starter key, that indents paragraphs uniformly without the bother of counting. Nice and quick: tap once for five spaces, twice for ten. Keeps me typing quickly and efficiently. My high school type-writing teacher would be proud!